Do You Need To Have Your Wisdom Teeth Extracted? Permanent teeth were intended to last a lifetime, but there are a few reasons why you might need a tooth extracted. Crowding is a common cause for the need for dental extraction. Most people simply do not have the space in their mouths to allow wisdom teeth to fit properly. Extraction of wisdom teeth is very common. In fact, some people have such limited space that premolars need to be taken out to allow for proper alignment of all of their teeth. This is usually done just before braces are placed by their orthodontist. Deep decay allows bacteria to enter and kill the pulp of the tooth. This results in an abscessed, or infected tooth. Many times this can be treated with root canal therapy. 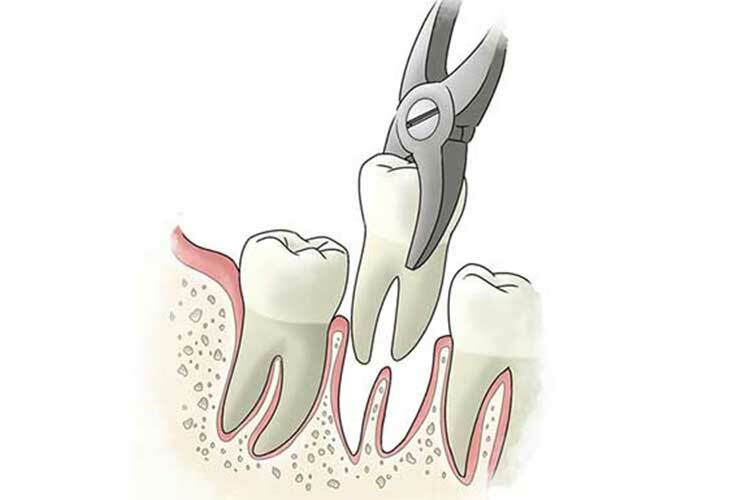 If there is not enough tooth structure to allow restoration, the tooth will need to be extracted. 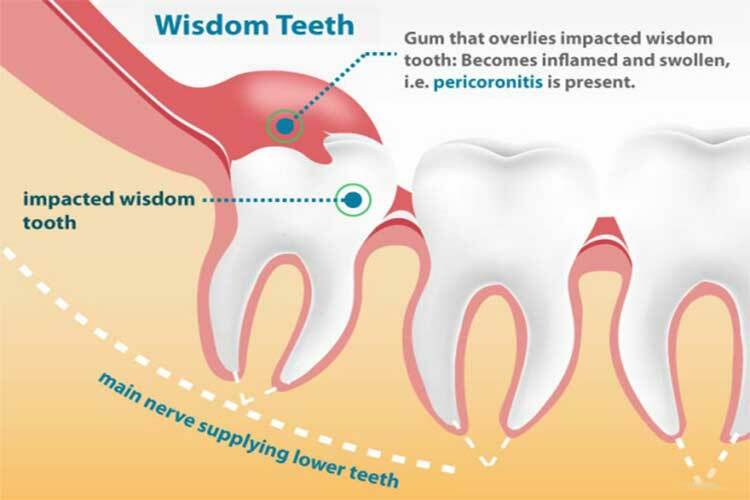 Periodontal disease causes loosening of the teeth due to bone loss. When this has continued untreated for many years, it will cause the teeth to need to be extracted. This happens most rapidly in people with diabetes. Other health conditions may necessitate the discussion of extraction. Patients needing head and neck radiation sometimes have teeth taken out before their cancer treatment. Dr. McOmie is highly skilled at performing tooth extractions. Before pulling the tooth, we will give you an injection of a local anesthetic to numb the area where the extraction will be performed. This will allow the tooth to be taken out with no pain, and avoid the risks and expense involved with sedation. Everyone has heard the term “Dry Socket”. This happens when the clot that forms in the socket comes loose. The two biggest causes of dry socket are smoking and using a straw after the extraction. If you are currently taking a blood thinner, please let us know. In some cases, we will consult with your doctor to taper your dose for a few days. In others, we can use a local agent to aid clotting in the socket. If You Have An Aching Tooth That Might Need To Be Extracted Call Us Today!